Somatic Perinatal Process Workshop, Seattle, Washington - TBA - Judyth O. Weaver, PhD. with Judyth O. Weaver, Ph.D. The field of Prenatal and Perinatal Psychology and Therapy has grown from research showing that babies within the womb, during birth, and post natally feel, have consciousness and memories, and react specifically to their experiences. These experiences affect greatly not only early childhood and development, but continue all the way through our lives into adulthood. Evidence confirms that many health issues – physical, mental, emotional and spiritual – are linked to prenatal and birth experiences and parent-infant bonding. Patterns for ones ability to deal with stress and trauma are also laid down in these early times. They inform us and follow us throughout our lives. These early responses that go so deep are developed while we are still pre-verbal. If they are traumatic much of the work to resolve such trauma must occur on the pre-verbal level. Somatic Process Workshops are excellent ways to work with such issues. This workshop setting offers the opportunity to uncover, explore and support healing, with understanding and compassion, our own prenatal and birth imprinting. 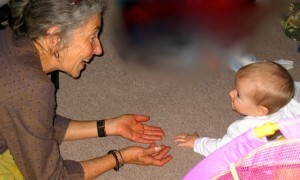 By connecting to this early layer of physical and emotional experience within a safe, sustaining environment, there is the potential to repattern our bonding and attachment, clarify, ease, and resolve early trauma and current unsupportive reactions; it enables us to transform material that inhibits the fulfillment of our potential – of our birthright. Working somatically within this setting can have deep, profound and often comparatively quick resolutions to issues that have seemed to resist other therapeutic attempts. In small group settings (no more than seven participants over three 1/2 days or two 1/2 days with four or five participants), each participant is supported in his/her exploration of whatever issue they choose – somatic, early life trauma, pre or perinatal issues, relationship, work, etc. This in turn can offer us more choice around how we respond to our relationships and open us to deeper, more loving experiences. The workshop is suitable for adults who wish to prepare for conception and birth, for those who wish to work on their own pre-natal or birth trauma or various other issues that have not yet resolved. This work is safe and considerate of those who might be pregnant and very helpful for those trying to conceive. Mainly it supports any person who wants to learn more about him/her self and history and how it affects present life. 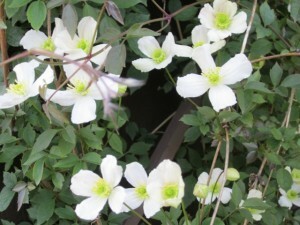 This workshop is experiential in nature. It provides an opportunity for participants to deepen their level of awareness of prenatal, birth, and somatic processes. Each participant is required to be in attendance for the entire workshop as s/he is an important part of the surround. The initial phase of the workshop is about developing a safe and nurturing environment, then each participant has the opportunity to work on their chosen issue as the remaining members provide support with and under the direction of the leader. Upon application for this workshop the participant will be sent a questionnaire. Answering the questions will begin the personal preparation for the workshop. Tuition is $950.US for the 3 1/2 day workshop. $200 deposit due three weeks prior to workshop. B&Bs and other lodgings in the area. There is also the possibility of staying at Judyth’s house for a nominal fee if that is desirable. Please let Judyth know. 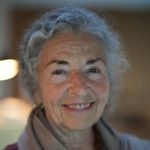 Judyth O. Weaver, Ph.D. RCST, SEP, is certified by Ray Castellino in Prenatal and Birth Therapy and to lead Process Workshops, as a Rosen Method practitioner and senior teacher, as a Sensory Awareness leader, T’ai Chi Ch’uan teacher, SE Practitioner and in Craniosacral Biodynamic Therapy. 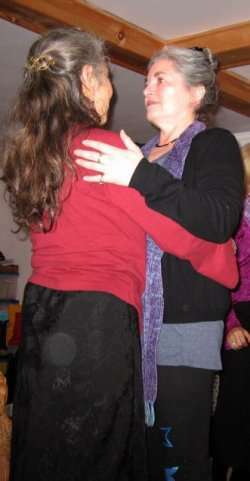 She teaches and maintains a private practice here and internationally.